Despite its title, the convention was not limited to American and Canadian Muslims. People from Pakistan, Indonesia, UK, and other countries were among the participants. About 200 of panelists discussed issues related to Islamophobia, covering Islam and Muslim communities in the news, and creating “third space” for women to feel welcomed in mosques, ect. 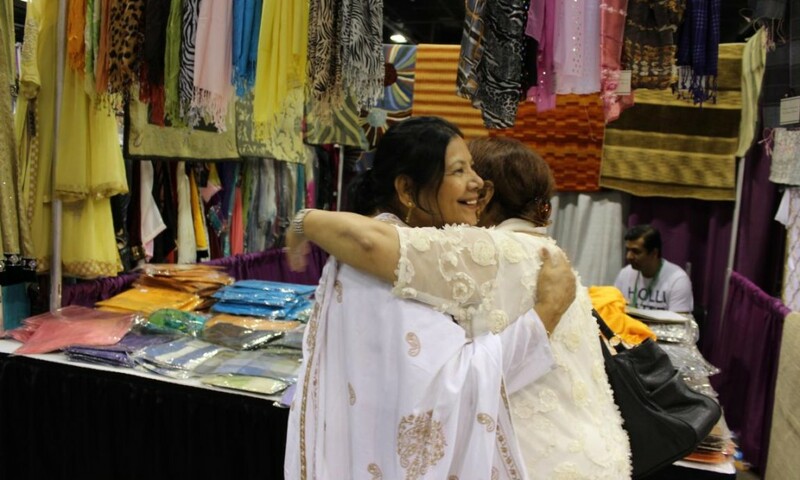 There were two highlights of this year’s ISNA convention, one old and one new. The old and exciting one was the matrimonial banquet for young people to learn and participate in Islamic dating. According to ISNA’s press release, over 1000 singles registered for matrimonial services. The new one was a fashion show for women audiences. More than 500 women gathered in a large ballroom to hear panelists discuss modest fashion. Then, they got to watch the runway show of eight dresses designed by renowned Muslim fashion designers. “I used to struggle day-in, and day-out every time I was leaving home,” said Amany Jondy, Co-owner of Simply Zeena. “Now, hijab has become a second nature to me. I do not think twice or have any doubt when I put on my hijab,” said Jondy. After the 40-min discussion, panelists rushed out to go to their next session, or to go to their booths at the Bazaar on the main floor. Bazaar, or the “marketplace” in Arabic, showcased more than 330 vendors, mostly specialized in clothes, jewelry and makeup. “Each year we look at our customers’ taste and style,” said Sarah Ansari, owner of Artizara, a brand that uses Islamic style and modest fashion to sell Islamic clothes and jewelry. “We, then, order our stock according to the feedback we receive from our customers,” said Ansari. A few booths further, after passing the jammed traffic of human bodies, Soap Ethics showcased its soap line and lip balms with interesting words on their labels. “Honesty”, “modesty”, “courage”, and other sentiments were written on the halal and gluten free products. ” I want people feel the same way when they apply my product,” said Osma Khan, owner of Soap Ethics.